Echo is on a mission to make technology accessible by building a bridge between U.S. companies and Chinese companies and investors. She has a unique 15 year experiences in cross-board transactions for fortune global companies, such as IBM, Lenovo and J&J. In recent years, she also successfully founded a number of consumer goods and education companies. She holds an MBA from Duke. Marc has over 20+ years experience initially as a sell-side senior equity research analyst at Citigroup and subsequently as an investment banker at various institutions on Wall Street. Marc's past transaction experience focuses on tech, internet of things, robotics/AI, telecom-media, & consumer goods. He received an MBA from Stern NYU and a BS in Economics from Binghamton. John has over 20 years experience as a pharmacologist and clinical trial expert. He specializes in new drug development and commercialization. Previously he was a senior medical director at Baxter Healthcare. He also founded Synature Pharma, Claymore Tech and Panax Pharma and owns 4 patents and marketing rights. He holds an M.D. from Cornell and received Post-doc training at Yale. Henry is a senior international investment & financial executive with over 20 years of experience. He previously worked as a CFO for two publicly traded companies in Asia as well as served as an independent director for a public company. He also worked at American Express, Bear Stearns and KPMG. Henry received his MBA from Fordham University. Over 40 year experience as a senior partner in a number of law firm including Hunton & Williams and Conboy, Hewitt O’Brien & Boardman. Served as investment counsel for a number of large corporate investment committees managing retirement savings investment. JD from Brooklyn Law School and Masters of Law from New York University. Rong's recently worked as senior vice president at corporate finance group in Everbright, one of the largest financial conglomerates in China. His clients are mostly large public listed companies in China. Prior to Everbright, he has over 10 years of experience working as a senior editor and journalist at China Southern Newspaper. Rong receives his MBA from Hong Kong Space and BS from Nan Chang University. Huanran is a veteran in the Chinese capital markets with over 20+ years of experience. Most recently he has been the Chief Investment Officer for South Startup Service Center in China. Previously, he was a senior director at Shenzhen Stock Exchange and led initiatives helping companies in the emerging industries raise growth capital. Huanran holds a Masters in Engineering from Tsinghua University. LIGUO is currently the Director of Research at Chinese Academy of Science’s Institute of Biophysics. He is a key opinion leader in areas of diseases and infections such as HIV, HBV and HCV. Previously, he served as a post doctor associate at Yale University and the University of North Carolina. 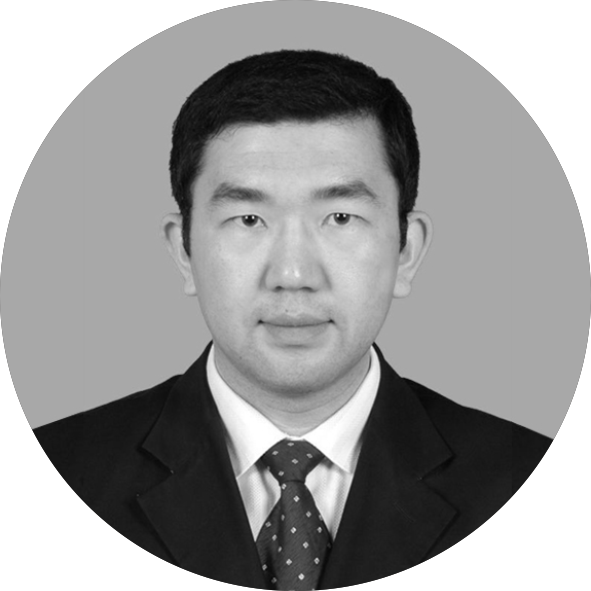 He holds an MS in Veterinary Microbiology and Immunology from Nanjing Agricultural University and a Ph.D. in Virology from the Chinese Academy of Preventive Medicine. Ke is CFO and a Director of Apowa Networks, a public listed mobile/VR gaming company (ticker: 833765) in China. Prior to Apowa, Ke was a portfolio manager at Milestone Capital, a Shanghai-based PE fund with AUM of $1 billion. From 2004 to 2008, Ke was a senior investment banker at CICC (one of the largest investment banks in China) focusing on IPO and M&A transactions. Ke received an MBA from INSEAD and B.A. in Singapore Management University.